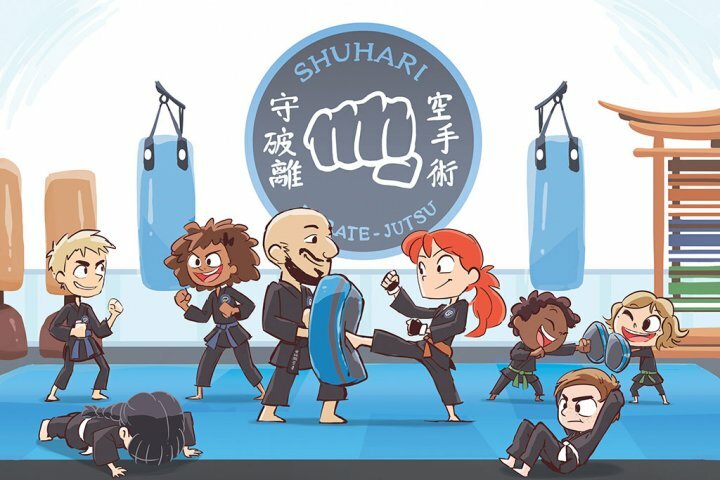 Shuhari Self Defence is a martial arts club that offers pragmatic karate classes for kids and adults. Our martial arts classes are for both male and female students. Minimum age to join is 7, and parents can train together with their children in our family classes. We welcome new students and run beginners self defence courses so they can train with other beginners and try it out. Training is done in a friendly environment. It includes: warm up, stretching, punches, kicks, elbows, knees, grappling, combinations, pad work, sparring, board breaking and self defence drills. We also cater for people who are experienced martial artists - our dojo is open to students from all martial arts backgrounds. Click on particular area to view map & full address. * Each location has ample free car parking. Copyright © 2000 - 2019 Shuhari Self Defence.